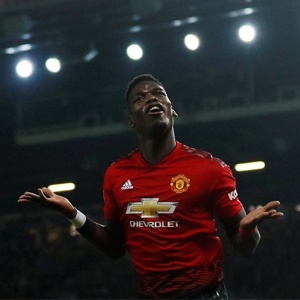 London - Ahead of Barcelona's Champions League trip to Old Trafford, the Catalans' president has admitted even they could not compete with Manchester United's then world record offer to bring Paul Pogba back to England in 2016. "We couldn't afford that amount of money at the time," Josep Maria Bartomeu told ESPN. "So he went to United, and he's making them better as a team because he's one of the stars of the world of football right now." Benched for both legs of a bitterly disappointing last 16 exit to Sevilla last season by Jose Mourinho due to personal differences and poor performances, Pogba's only previous start ended in a red card and a 2-0 defeat to Paris Saint-Germain back in February. The arrival of Ole Gunnar Solskjaer to replace the sacked Mourinho in December removed any excuses that it was the Portuguese's straitjacket that was limiting the output of one his most talented players. However, his form has cooled since, and not by coincidence so has United's with three defeats in their last four games. "He's capable of doing everything. There are midfielders who know how to defend really well, others who are very good in attack. He knows how to do everything," said Zidane. There can little better audition for a Madrid target than ending Barca's bid for a third treble in a decade. Instead, Lionel Messi was on target as Pep Guardiola's side emerged victorious in Rome, and he struck again when the sides met again in the final two years later. Messi is still Barca's inspiration and with him they have made the last eight every season since. By contrast, this is just United's second quarter-final in the last eight years. The signing of Pogba was meant to signal United's return to the elite. Kick-off is at 21:00 on Wednesday (SA time).